Holiday Party for the Mandela Archives! Join us on December 9 at 7 PM to celebrate the life of Nelson Mandela and help preserve our audio archive of the struggle against apartheid. We’re hosting a holiday party with CultureHorde at Brooklyn’s Madiba Restaurant. Tickets are $75/$150 and they include South African food and wine. There will be dancing! Buy tickets here. 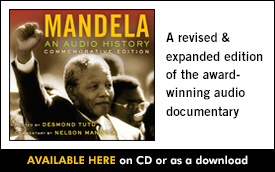 Proceeds support Mandela: An Audio History, a documentary radio series (named 2015 Audiobook of the year) and oral-history archive. The project documents the anti-apartheid struggle through the voice of Nelson Mandela, as well as those who fought with and against him. Radio Diaries is now working to preserve and distribute this extensive collection of interviews and never-before-broadcast archival material around the world. 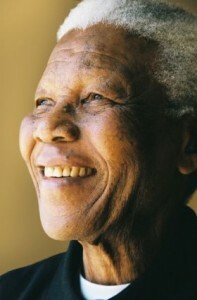 The Mandela archives will be a vital resource for scholars, educators and the general public. We hope you can join us on December 9 to celebrate Mandela’s legacy!